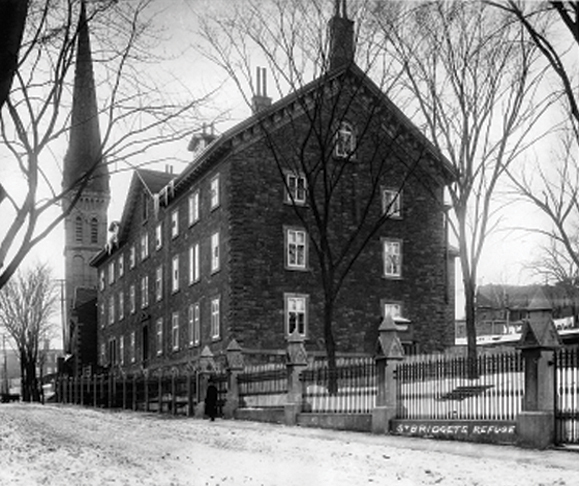 St. Bridget's Refuge Montreal, circa, 1896. (Photo: WM. Notman & Son). The preservation of Montreal’s rich history of Irish settlement is once again in peril. After plans to build a park and preserve the Black Rock Irish Famine memorial erected in 1859 were put on hold, another landmark of Montreal’s Irish heritage is in danger. The Université de Montréal unveiled plans to begin construction in January over the foundation of St. Bridget’s Refuge.